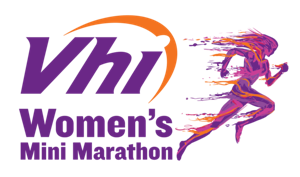 Special thanks to our voluntary fundraisers – without your help we could not continue! We do not employ professional fundraisers so every penny raised goes to offset the cost of providing the service. It is impossible to list everyone who helps but we are forever indebted to those who undertake fundraising activities on our behalf. Our voluntary fundraisers come from people of all ages, nationalities, creeds and social standing and in particular individuals and families with children who make sacrifices of birthday gifts etc. to help the people who attend the Centre. Fundraisers also include corporate bodies, schools, church groups, social clubs as well as individuals who undertake amazing challenges to help us. Special thanks for the Dublin Bus Food Collection, the Belmullet Cycle, the Women’s Marathon, the Dublin City and other marathons and special thanks to those who organise and participate in the Carol Singing Street Collection. Those who organise Golf Days, Bridge Nights, sponsored fasts, Margaret Wogan and her helpers for the Sale of Work other fundraising activities, Phil O’Carroll’s Cake Sale, Teachers/Individuals who organise Food/Clothing Collections. People who undertook individual challenges and raised money on line through My Charity website. This is apart from individual efforts of people who organise events among family members. 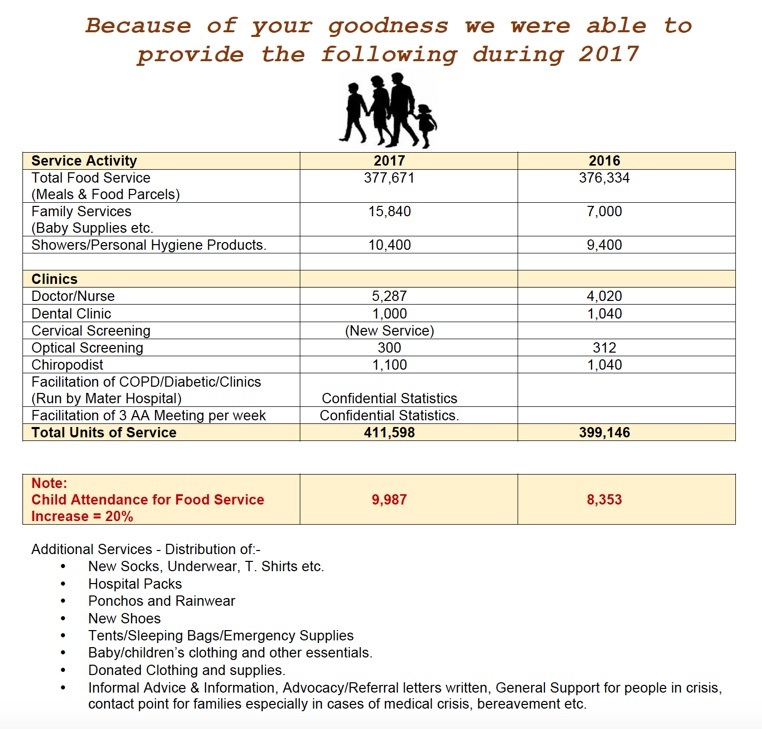 The Food & Clothing Drives are especially beneficial as they save us not only time but money. 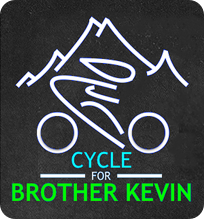 All money raised through fundraising goes direct to frontline services. Sincere thanks and prayers for God’s Blessings to all. 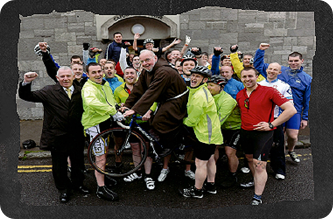 A charity cycle set up in 2010 to raise funds for The Capuchin Day Centre for Homeless in Dublin City Centre. 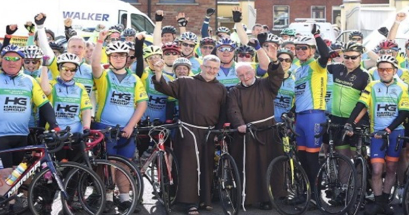 Participants leave The Capuchin Day Centre, Bow Street, Dublin 7 at 9am on Friday 15 June 2018, stopping in Mullingar for lunch (after 3 hrs cycling), and arriving in Drumshambo at about 5 pm (3 hrs cycling). The next morning Saturday 16 June 2018, leaving at 9 am and stopping for lunch in Ballina, Co. Mayo (after 3 hrs cycling). Aiming to arrive (in style) at the Main Square, Belmullet, Co. Mayo at about 6pm. Once again we are depending on you. When deciding on what charity you would like to support please consider supporting The Capuchin Day Centre for Homeless People. Christmas can be a hard time for people who do not have sufficient resources for their families and we want to help people who are struggling to make ends meet. Apart from the normal meal services, and Gala Christmas Dinner for people who attend the Centre, going on current demand, we will need to provide 3,000 Special Food Hampers. This will cost a lot of money so we will need your help more than ever. Our Carol Singing Street collection is our main source of funding for extra Christmas expenses, so as in the past, we know you will be generous in coming to our aid. Support our Carol Singing Street Collection at the GPO in O’Connell Street on Saturday 10th December. Many thanks to the “Choirs of Angels” all the voluntary collectors and the organising team who every year, brave the weather collect funds to help cover our extra expenses over the Christmas. If you miss us on the day you can donate to the Carol Singing.